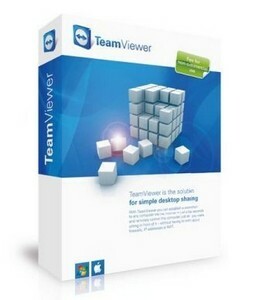 TeamViewer: A boon for file & desktop sharing. TeamViewer is an amazing utility which provides online screen sharing and file transfer between two users to smoothen the business affairs. Using this program, you can remotely access a second computer to help your worried friends and relatives to detect and treat computer related problems. It has a simplified user interface. It only requires a good broadband connection. During the first use, images can be a bit shaky and blurred but after some time, you wil be able to clearly see the second computer’s screen. Fairly Secure: Unlike other software, TeamViewer provides every possible way to secure the users for smooth functioning of the tasks. This utility generates a random password for your computer every time it loads. Video Playback: The utility has such a strong algorithm that the user can do whatever he wants. This software has an edge over the other softwares which enables you to play video in other users PC to help you better understand the quality of the material. Simple User Interface: The program is especially designed in such a way that a non tech savvy will also be able to operate the utility. Used for Presentations & File transfer. Can set up a VPN. Poor performance on slow speed of broadband connections. Provides less security options as compared to other utilities like LogMeIn.